Tile flooring is not only stunning to look at it is also an excellent investment for your home. Ceramic and porcelain tile flooring also come with the added benefit of being durable and able to withstand years of foot traffic without hardly any maintenance. After years of foot traffic, your tile and grout can start to look a little worn out and drab. When your tile floor is in this condition the best way to bring back the beauty of your ceramic or porcelain tile floor is to contact San Diego Carpet Repair & Cleaning for a professional tile and grout cleaning. San Diego Carpet Repair & Cleaning are the experts of tile and grout cleaning. 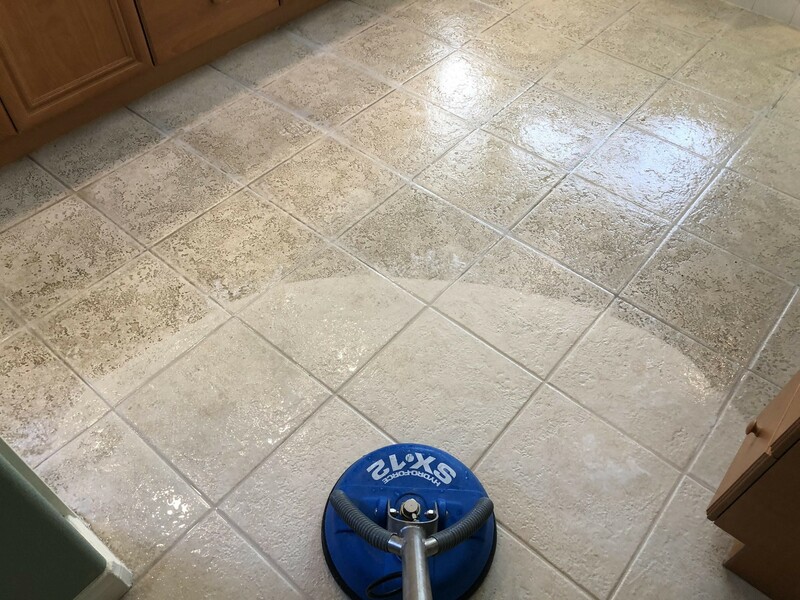 We use a very potent, yet completely safe cleaning solution and a high-pressure hot water rinse that will restore the elegance of your tile floor. Our tile and grout cleaning equipment will thoroughly pressure wash the surface and will remove all the gunk and grime that your tile floor has been absorbing all through the year. Our method will restore the wonderful sheen to your tile or grout surfaces. The sealant we offer reduces the possibility of staining and creates a protective barrier that blocks the penetration of foreign contaminants. We promise that you’ll be ecstatic with the results. We always give 110% effort to make sure that our customers are happy with our work. Inspection: We will inspect your tile flooring, and formulate a plan based on your particular type of tile. Furniture: We will move your furniture around to access your floor but we will not touch liability-prone furniture. Scrub/Brush: Depending on your tile flooring, we will use a machine scrub or hand brush the tile or grout. Rinse: Once scrubbing is done we use high heat, high-pressure cleaning machine for a very deep clean. Our cleaning machine will loosen and bring up all the grime and gunk. Wipe Down: Once the rinsing process is done, we will wipe away all the residual soil and dirt that’s left behind. Sealant: In order to repel water or stains, we will apply a sealant to your tile floor The sealant will hold for months, lengthening the life of your tile and grout. If you are ready to restore the elegance of your tile floor contact us today at 619-512-9661 to schedule your appointment.